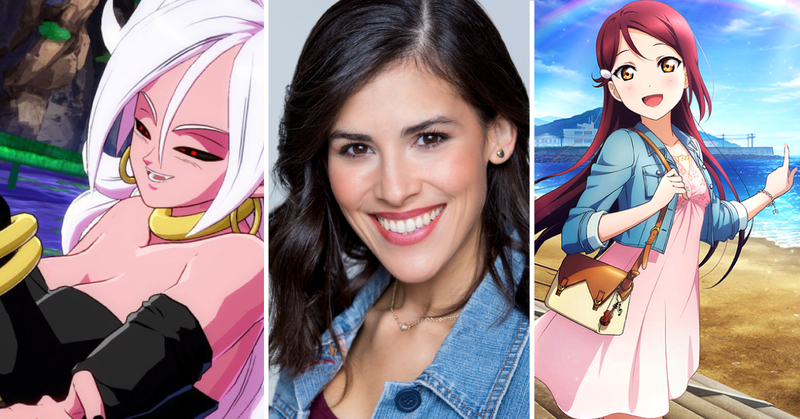 Jeannie Tirado is an actor and musician, known for voicing Android 21 in the new Dragon Ball FighterZ video game, Saiko Intelli in My Hero Academia, Baby Pan in Dragon Ball Super, Koala in One Piece, Zera in Fairy Tail, Leila in Code Geass, Kanae in Tokyo Ghoul, Fana in Black Clover, Akira in Star Blazers, and Sol in Smite among many more titles! Raised in Orlando, Florida, and classically trained in piano and voice, Jeannie got her start in the studio recording album vocals for artists—which turned into commercial voice over— which turned into anime and video game craziness! She is now represented for film and voice over, and can currently be heard in national commercials on radio, tv, online, even in the air as the pilot’s assist voice for a private British air charter! Jeannie is having a blast living her dream. And the best is yet to come!